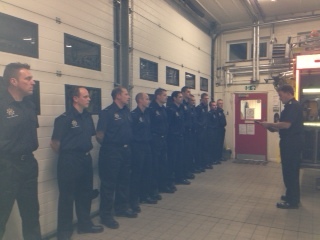 Last week I had the pleasure of being welcomed to Ampthill Fire Station and met both full and part-time fire-fighters. 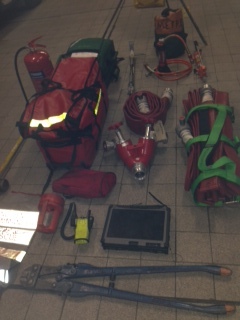 Unfortunately the Fire Service have been involved in a long running dispute with the government reaching back to 2000. No-one disputes that we are living longer, this is a great thing and, for the most part, we all need to work longer. However in some jobs and professions there will be physical limits and difficulties associated with having to work until older age. Fire-fighters will have to work until they are sixty years of age in order to be entitled to receive their pension. I attempted and failed to lift some of the equipment fire-fighters are expected to run with and carry, sometimes up long flights of stairs. I simply couldn’t do it and I don’t think many sixty year olds could, unless they were at the peak of athletic fitness in their thirties. They have to climb ladders, scale tall blocks of flats and then potentially carry an unconscious member of the public back down again to safety. They put their own lives at risk in order to save the lives of others. The men and women of the Fire Service are in an unusual position as public servants. They aren’t as publically visible as those caring for us or healing us in the NHS, teaching our children in schools or patrolling the streets to keep us safe. There is very little public interaction and during major fires people are actively kept back from the locations where firemen and women are doing their jobs. I do not believe that it will be possible to maintain the level of fitness required until the age of sixty. That is what is required of firemen by the pension changes being proposed. This is not about mental ability or feelings of tiredness at the end of the day, this is about requiring a very high level of physical fitness and I think that is unreasonable. The vital move to us all working longer needs to be accepted by the great many people who will be affected and handled sensitively by employers and the government. There is a balance to be struck and I think that increasing the fire-fighter pension age to 60 is the wrong side of that balance. "Amazon does not endorse the content of any book that it offers. This book has been widely debated in the media, and on Amazon, for many years and anyone who wishes to express their views about this title is free to do so on its product page on our website."